This morning I am reminded more so than every morning that we are standing in the mist of greatness. It doesn’t matter where you are in your life, or what status in life you are at, what nationality or ethnicity you are. We are all standing in the mist of greatness. Just the mere fact that you are here and was allow to have another day on this earth. Don’t waste another month, not another week, not another hour or even another minute. Stand fast in the mist of your own greatness and believe in your own destiny and watch the power of the almighty shake the rivers of opportunity upon your life. It is your time to shine and rise up into who you were destine to be. The journey to living in a healthier way has been a difficult one for me. However, the journey has been an engaging one with ups and down while trying improve my life through underlying health issues. I believe if you truly go after that which you desire with persistency, determination, and steadfast tenacity. You will reach that point of achievement for which you have worked so hard to attain. Having said that, I am over joyed to show some of my recent results as I continue to embark on my one-hundred five pounds fat burning journey. When I fist decided I needed to do something about my weight I weighed in at 305lbs. I never thought I would start logging it. However, the pictures are like a thousand words. Look how far I have come below. I will soon show what shakes I have been taking which has help facilitate my weight loss. I am now at 57 pounds loss!!! Yes!!! Today while at the gym a thought occurred to me as I was pounding away in repetition doing crunches. I knew I needed to work on my overall package, (my entire body) and have been neglecting my midsection for some time. It’s been over a week since I have done any crunches. Looking down at my mid-section I would consider, how on earth did I missed that? We do reps to break the muscle down to failure and build it back up stronger than before. What I am looking to do here is firm up my mid-section and have it nice and tight, something I can be proud of when I look in the mirror. In order to achieve the look I am after I would have to do a variety of exercises that isolates the different muscle groups that make up the mid-section area including the oblique’s muscle group. Imagine if we were to workout in areas of our life. What I mean is; you find one area you want to improve upon and find a series of proven strategies you know that if you do them you would create the outcome you were after. 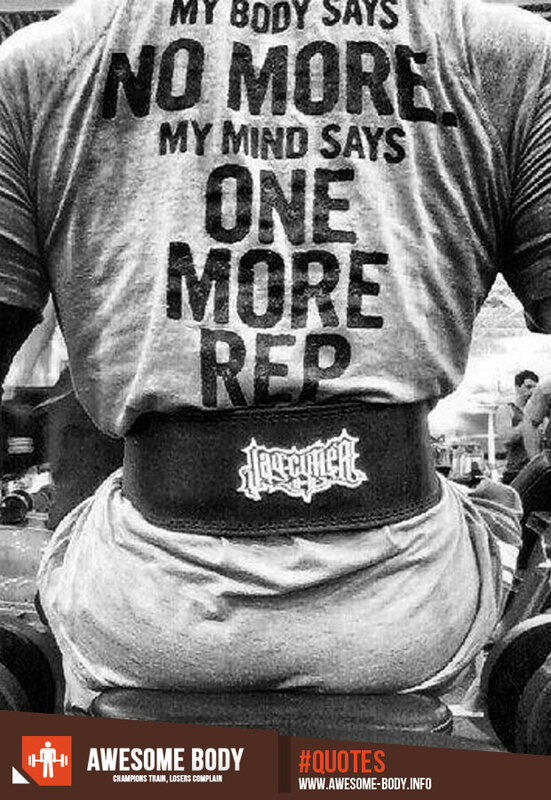 One rep at a time. One successful activity after another consistently over time would ensure your success of the outcome you desire. It’s like building a muscle in the body. You have constantly work that muscle out and do rep after rep to make it bigger and stronger. It’s the same thing with our lives. If we want something to change, we have to change. If you desire a bigger bank account you may need to re-educate yourself one book after another, and perhaps change your philosophy as well. We live in the information age which is simply a period of time of accumulative information to measure. One minute after another and one piece of informative advice after another over time, one rep after another, do see my point? This is colossal information and yes, when you apply the proven strategies to develop what it is that you are trying to achieve it comes with a price. So what are you willing to sacrifice? What are you willing to let go of? 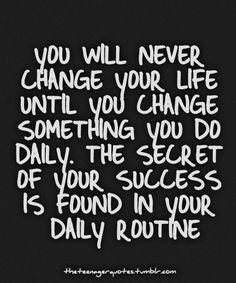 What habits are you willing to change? It all boils down to this! HOW BAD DO YOU WANT IT? In the gym they have mirrors where you can look at yourself working, to make sure you are using the correct form and or simply enjoy being vain if that’s your thing. But the mirror can also serve as pivotal focus point when one is about to give up. When you come to the point and say to yourself why am I killing myself? It’s not going to happen I am never going to lose all this weight and self-doubt starts to overwhelm you. Then you look up at the mirror and suddenly you realize this is why you are here at the gym, to stop looking the way you look. To stop feeling the way you feel about yourself at that moment of despair and doubt. So you begin to move with a new sense of determination, with a new attitude and start to feed your mind with one positive thought after another on why you need to stick with this workout and NOT GIVE IN OR GIVE UP. YOUR LIFE DEPENDS ON YOU! Explosive day at the office! I will be looking at maximizing my workout time to burn as many calories in a workout as I possibly can. Then I will start watching what I eat and to be sure to consume 2600 calories a day per my friend who is a nutritionist and advised me to do. The reason for the change is I noticed my heart is in the right lane but I lack the ability to effective create the desire change I so desperately seek. I have already started this regiment and have notice some changes just within the several days I have been trying this. You know, that got me thinking. Sometimes it’s good to acquire or enlist the help of someone who is very successful at what you are trying to achieve. If I can do this about with health, I can certainly do this spiritually, financially, and academically. This is a great way to achieve faster results and learn how to avoid the pitfalls they have encountered. In essence, we can learn from other people’s success, failures and forge our own success with all of our hard work. I guess we must be certain of what we want out of life to forge a clear and laser focused path to our desire results. Are you sure you are on the correct path or are you doing what you think is expected of you? 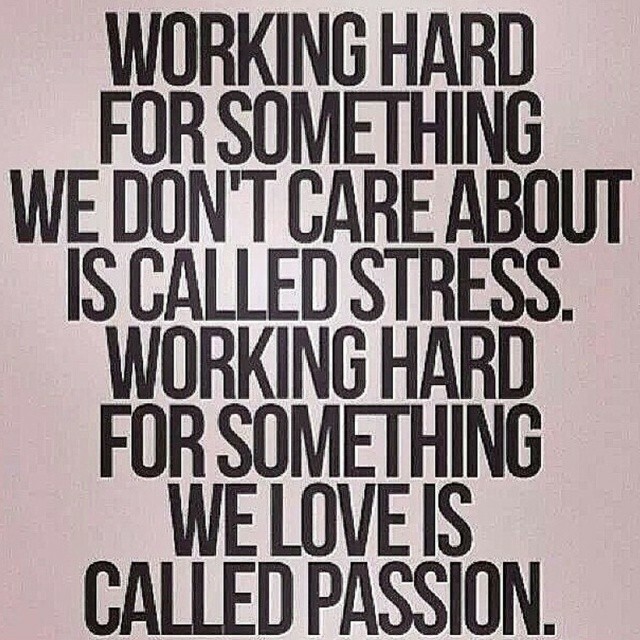 I talk a lot about passion because so many people are not doing what they are truly passionate about. I for one can attest to this because I am passionate about writing, encouraging, motivating others through my writings. That is the reason I write here every day. Start asking yourself life changing questions. Am I living in the house I imagined? Have I travels to all the destinations I wanted to? Does my life reflect my imagination? Have I lived up to my own expectations, or can I achieve more out of life? If not, WHY? Don’t answer these questions here but write your answers on a piece of paper. 1. What am I most passionate about? 2. Am I living my passion with purpose? 3. Do you have a bucket list? If not, why? 5. What are my weaknesses? This is what I would like to achieve in the next year __________________. Why? This is what I would like to achieve in the next 3 Years ____________________. Why? What is stopping me from reaching my current goal? What can I do to change my outcome? As always I want to thank you for reading my post. I hope you challenge yourself to answer these questions. For now have a spectacular day! In a world where there is an abundance of food choices we can only imagine the temptation that accompanies a variety of delicious cuisines. I for one love sweets and is tempted every to engage my taste buds with mouthwatering chocolate delights that seem to light up my day. Yes! Light up my day! I am all smiles when I have my daily dose of chocolate and it appears I can handle just about anything that comes my way. Crazy right? Well, I discovered that we are capable of believing in some silly ideas about all sorts of little quirks and habits that we have formed over the years. We even have our very own personal data to back of what we believe it to be factual. The truth of the matter is our habits are just that habits. Whether you are junk food junkie or sweet fanatic like I am, or perhaps have to have a couple glasses of wine or a couple of bottles of bear every day, there’s no harm in that right? It’s just the opposite; you are forgetting about the power of compounding effects over time. So, I set out to find out some basic facts of why I should stop eating so much chocolate or simply stop eating it all together. Let’s face it, if I don’t find out about everything I intake or ingest into my body. I am only kidding myself to think I can become healthier while slowly and methodically killing myself through choices I have made over time. Let’s take my own habit Three cookies a day, let me digress a moment to inject this thought. We are creatures of habit, some of have more habits then others and we trade one habit for another. The key is to trade bad habits for good ones, so keep that in mind. My three cookies a day cannot be that harmful I thought. But, it can depending on what could be happening with the physiology make up internally that I cannot see. Let me explain. Chocolate is high in calories and leads to weight gain. I go to subway every day to purchase those wonderful mouthwatering chocolate wonders which for on cooking has 220 calories. (3 cookies x 220 = 660 calories) Talk about shooting yourself in the foot this is ridiculous. That is why it’s taking me so long to lose the weight. Chocolate is also high in sugar and too much sugar over time can lead to becoming a diabetic. Remember the compound effect is at work here. So, I know what you are saying, 3 cookies are not that bad, so let me break this insane idea down for your further. 3 cookies = 660 calories a day! 660 x 30 = 19,800 calories a month! 19,800 x 12 = 237,600 a year! Insane right! Not Even! I been doing this for five years I have been working on my job so let’s do one more fact. 237,600 x 5 = 1,188,000 THAT’S INSANE!!! Well I know what I have to do from this point on, do you? What is it that you harmlessly consume? Have you seen some of the learn term effects of what alcohol does to the pancreas, liver, or kidneys? Not to mention the brain. The same with smoking. All I am saying is think about your bad habits and start replacing them with good ones. You know I have asked many people this question and it’s funny how everyone I asked pause, pondered and appeared to be somewhat perplexed. That led me to believe so many of us are living our lives without a passion driven purpose. When I turned fifty years old, I not only reach a pivotal point in my life by age but also through purpose, desire, a deep of understanding and personal reflection. My mental capacity have made three-hundred and sixty degree turn. I woke up one day and realized we do things for seasons in our lives and like the season winter, spring, summer, and fall, we have to change and adjust according to our season in life. Whether that season is long or short, I believe life gives clues as to when the seasons are coming to an end and time for adjustment is approaching. Let’s take the season summer for example; we all know summer can be brutal with its massive heat waves and relentless humidity in certain parts of the country. Then when things start to cool off as fall approaches and we sometime have to adjust what we wear. As winter approaches depending where we are located in the country some of us have to put on sweaters, jackets or coats. We get that, right? What happens when winter is over and spring is in the air you don’t make the necessary adjustment to your clothing that you wear? You will experience a great discomfort, you will become very hot, not to mention perspire more than ever. I believe there are seasons in our lives and if we don’t adhere to the season’s shift we experience discomfort. What we once believed was important no longer hold significance or when we reach a certain season in our life (midlife Crisis) or identity restructuring we tend to re-evaluate our life and reflect on our accomplishments and failures. It’s funny because in our minds we still feel young and if it weren’t for our bodies breaking down through the many years of wear and tear we will never notice. So, we start the restructuring process physically, mentally, spiritually, and financially. At this point in life young, midlife or seasoned we want to live with passion. We want to find the things that will excite us to go to bed late because of it. Wake up early to embrace it. Breathe through out of the day to inhale that passion that lifts us up from the state of normality to fly upon the wings of life with exhilarating passion for that thing that we now live to share the world with. But!!!! You cannot enjoy your passion in bad health as much as you could in good health. Live your passion in a healthy way.